Tablet computers are a fairly new invention in the wide selection of gadgets and technology we have available to us today. The first Android tablets were released in 2009, quickly followed by Apple’s contribution – the iPad in 2010. Apple managed to work its usual magic with the iPad, popularizing the technology to great effect, with the result that tablet computers soon became mainstream. It seems these days that every other person has a tablet computer of some sort so it feels strange that just a few years ago, this technology did not exist. In their short lifespan, tablets have revolutionized the way we work and communicate, and one of the industries most affected by this useful gadget is the construction business. Tablets are changing our working lives in the same way that computers did a generation ago. It’s now almost impossible to imagine living and working without computers and yet 30 years ago, everybody did just that. 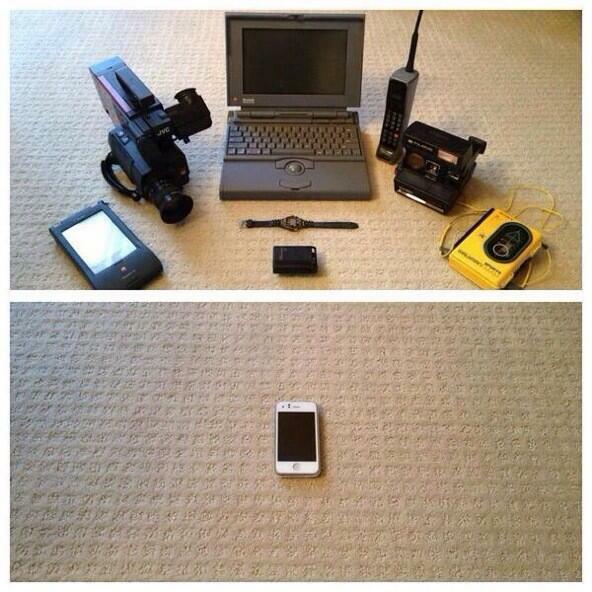 10 or 20 years from now we’ll probably be wondering how we ever managed to run our businesses without a tablet! 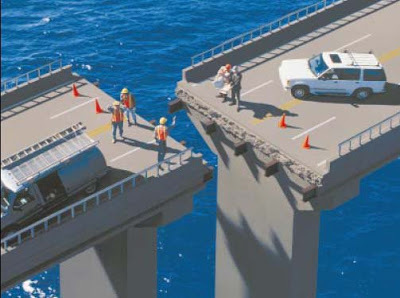 Can Tablets Solve the Problem of Inefficiency in Construction? Architects have been using computers to work for many years and over time, as new software and tools have become available, the process of building design and planning has become very efficient. There are some amazing tools available for sketching, designing, rendering and drawing up blueprints, which beat pen and paper in terms of productivity, hands down. However, this efficiency ends as soon as plans move from computer to site. As it’s not practical to sit looking at plans on a computer (even a laptop) in the middle of a building site for various reasons, plans are almost always printed on paper. Even a simple construction project will result in an impressive pile of paper containing information such as blueprints, specifications and checklists. Not only is all this paper less than ideal for environmental reasons, but it also poses a communication problem whenever clarification or changes to the plans are needed. Any communication between the owner, architect and contractors requires a lot of telephone calls, emails, and going back and forward between office and site. Tablets are solving this problem with apps that allow architectural plans and blueprints to be stored as digital files. The tablet acts as both an instantly-updatable electronic blueprint and as a communication device. Any updates or changes to the plans can be made instantly and remotely, saving time and therefore, money. Laptops were never very good at this job because of their limitations due to size, battery life and durability, but tablets really are ideal for the task and are completely revolutionizing the way the construction industry works. The architecture and construction business is somewhat unique as it typically involves a combination of office and on-site working. While a desktop computer is sufficient in most desk-based jobs, and a laptop computer works fine for people who move around from office to meetings, architects spend a lot of time out of the office in environments where a laptop is difficult to use. Tablets are perfect for using on site as they are light, small and highly portable. A tablet can be held comfortably in the hands and used while standing up and walking around. Data, photographs and voice recordings can be captured on the construction site and synced to cloud storage so that it is instantly available back in the office or to anyone else who needs it. The tablet provides an ideal extension to the office computer. Once you start listing the multiple tools and documents that would be in frequent use during a typical architect’s day, you really start to see how useful and powerful a tablet can be – imagine trying to fit all that into your pocket when you head off to a construction site! Whatever task you need to do, it’s pretty much guaranteed that there’ll be an app to help you out. There are over 1 million apps available for tablets and smartphones and the number is growing all the time. The possibilities really are endless. 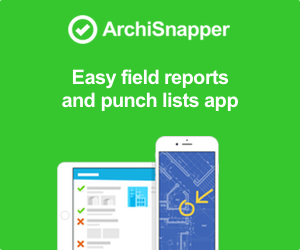 Archisnapper – a field report app – is just one example of how tablet apps can make your life easier and cut down your administration time as an architect. Rather than spending hours compiling notes and photographs, simply use the app to fill out your site report while you’re actually on-site and email it to the appropriate people within minutes. There are many other apps aimed at architects including sketching apps, 3D rendering apps, photography apps, blueprint apps, note taking apps, productivity apps and administration apps, all of which can really change your working life for the better. Here you can find an overview of some of the best Apps for architects. If you can’t find the app that you need, it’s even possible to hire a programmer to create a bespoke app for you. Freelance app development is currently one of the fastest growing industries and it’s easy to find a developer who can work together with you on a freelance brokering directory. One of the most powerful aspects of tablets and mobile internet in general is cloud computing. Saving your work to the cloud means that the traditional computing model, requiring office servers and backup systems, can be abandoned. Utilizing a cloud storage service means that spending thousands on computer equipment (and the technical staff to maintain it) is no longer necessary. Cloud backup and sync services allow you access to incredibly powerful and high capacity computing systems by simply paying a low monthly or yearly fee. Not only is cloud computing great for backups, it also makes life much easier for anyone who works on more than one computer. Rather than emailing files back and forward, buying (and losing) multiple USB pen drives, and dealing with the issues keeping file versions in sync when multiple people have copies of a file, it’s easy just to save files to the cloud from your tablet. The most recent version of the file will then be accessible for anyone who needs it, anywhere in the world, within seconds. As explained before, tools like Dropbox are perfectly suited for this. The lofty goal of having a paperless office is now becoming an achievable reality as cloud computing has made it so easy to store documentation as digital files. No need to employ someone to organize your filing either! Powerful search functions make it easy to find what you need at the click of a button. Cloud computing has really revolutionized the way we use computers at work, making backing up data, collaborative working, file syncing and administration easy and affordable. Whether you love them or think they’re just another gadget to clutter up your desk, tablets are here to stay. If you’ve not hopped on the mobile internet bandwagon yet, it’s really time to dip your toes in and experience all the advantages that a tablet computer can offer you. Mobile computing gives you the power to reduce administration costs and make your business more productive and efficient so that you have more time to focus on your core tasks and get on with more exciting tasks, like designing. There are already hundreds of different models of tablets available and they are becoming more powerful all the time. In a previous article we covered some tips about how to choose a tablet that will suit your business and the way you work, and things to consider when you are comparing different brands and models.